Sterling Environmental Air Duct Cleaning is a full service air duct and dryer vent cleaning company that is fully licensed and insured to provide services to commercial and residential customers in the Southeast Michigan area. We diligently include friendly customer service, high morals, and traditional values with all services that are completed with superior execution. With the use of high-end products and industrial strength equipment, Sterling Environmental Air Duct Cleaning can get the air ducts and the dryer vent system cleaned to perfection. Recruiting those that possess all the credential and attributes pertinent to our field are among the finest to ensure the job gets done efficiently. Sterling Environmental Air Duct Cleaning is proud to provide commercial businesses and residential homes of the Southeast Michigan area with our professional expertise and services of air duct cleaning and dryer vent cleaning. Both are designed to make your home or business healthier and safer. Dryers in Southeast Michigan businesses and homes collect lint, and not just in the lint trap that should be cleaned out after every use, but the vent line as well. The vent line will eventually clog with debris with use; not only making your dryer operate inefficiently, but also create kindling in the event of overheated appliance or electrical spark as well as the conditions for mold spores to thrive. With the potential hazards and health risks as well as increased energy consumption and lost efficiency, the benefits of routine Sterling Environmental Air Duct Cleaning dryer vent is extremely significant. Depending on the volume of laundry, dictates how frequently you should schedule our dryer vent cleaning service; every 6-12 months. Sterling Environmental Air Duct Cleaning includes air duct cleaning services to ensure your commercial and residential properties of Southeast Michigan are clean to their original state. 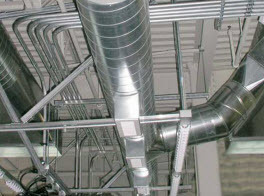 The indoor air quality in your home or business is extremely impacted by the HVAC system’s air ducts. 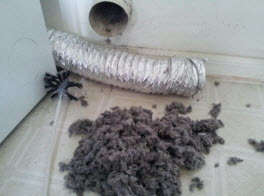 With the dirt and debris that continually circulates through the system and the layers that collect inside the ducts. 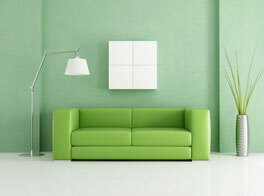 The indoor air quality is greatly reduced and those especially with respiratory issues, asthma, and allergies. 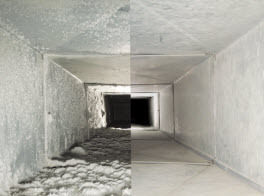 Getting your air ducts cleaned by Sterling Environmental Air Duct Cleaning every 2-3 years can help improve the air quality and contribute to the HVAC system’s efficiency. When it comes time to remove these impurities from the air vents of your Southeast Michigan home or business, contact Sterling Environmental Air Duct Cleaning and let our experts utilize our specialized equipment and apply our expertise get the air ducts immaculate to improve the indoor air quality and additional benefits. No matter if you need dryer vent cleaning or air duct cleaning for your commercial or residential property in the Southeast Michigan area, Sterling Environmental Air Duct Cleaning is readily available to get the job done quickly and efficiently. Contact us today!